Serious corruption accusations have been leveled against government bigwigs concerning oil bribes. Some ruling party legislators want the accused to step aside, although the President thinks otherwise. The decision to recall parliament from recess on October 10th to discuss oil matters did not come easy. But when it came to pass, it left an unprecedented resonance that will forever be tagged on the six-months-old 9th parliament in the fight against corruption. Although the Speaker of Parliament Rebecca Kadaga was hesitant to call the august house, she has received kudos as one who has come out of the sludge victorious, though others have accused her of not “giving them attention.” But at the end of it all, she left three of her powerful party colleagues with a badly dented image and the executive arm of government in a precarious position. Although the National Resistance Movement (NRM) party has the absolute majority in parliament, it was basically its members coming together with the opposition firebrands who drafted and appended their signatures to a petition calling for the house to convene and discuss oil, in light of the arbitration process that was yet to begin in London. Government wanted parliament to pass the Shs 11 billion request to facilitate the lawyers who were to represent Uganda in this case. On the floor of parliament, youthful MP Celinah Nebanda said, “As I was entering this house, we were told that we should not discuss oil issues for security purposes, but now I know that these people were trying to use us to protect thugs.” This was after she had heard the submission of the maverick and equally young MP Gerald Karuhanga who tabled dossier after dossier indicating the manner in which the then Security Minister and now Prime Minister Amama Mbabazi, Foreign Affairs Minister Sam Kuteesa and former Energy Minister and now Internal Affairs minister Hillary Onek allegedly obtained bribes in billions from oil companies. Before going for the plenary session on October 10th, the NRM parliamentary caucus sat in the precincts of parliament to be briefed about the oil sector intricacies by government bureaucrats so that they go to the plenary with a party position, but this failed after members thought otherwise. They wanted everything to be open and to debate on the floor of parliament without “hiding” behind the party. Efforts by the NRM bigwigs to convince the members to recall their signatures appended to the petition fell on deaf ears. Even then, the government bigwigs did not know the storm that awaited them as they thought that members simply wanted to discuss the content of the oil agreement signed between government and oil companies. This however changed when they reached the floor of parliament and realized that there was more to things than they had thought. They were met with heaps of corruption accusations in a move that had been well prepared and executed by the authors of the petition. In a brief presented to the NRM caucus before going to the plenary session of parliament on October 10th, the Minister of Energy and Mineral Development Irene Muloni said that her predecessor Hillary Onek had already handed to parliament the Production Sharing Agreements (PSAs), which the Ugandan government had signed with different oil companies. She said this was well documented in the HANSARD of June 29th, 2010, on pages 12033 to 12036. She added that MPs should indeed have access to these PSAs, but they are bound to keep the information confidential. Reading from a “CLASSIFIED DOCUMENT” a copy of which Kampala Dispatch has seen, she lectured them on the confidentiality clause that is commonly found in international petroleum agreements for purposes of protecting the use and disclosure of intellectual property, data and information relating to an area under license. She stressed that some of the information captured in the PSAs is indeed confidential and that the disclosure of such is prohibited, as it would jeopardize the security of the country. Muloni told the caucus that whereas all the PSAs signed by the Ugandan government are on favorable terms for the country, government tends to negotiate different terms with the different oil companies. “Indeed there are notable differences in the PSAs that were negotiated in the late 1990s as compared to those negotiated in the mid 2000s,” she said. Muloni added that by availing the existing PSAs to the public domain, government’s ability to negotiate even better terms in the future PSAs will be derailed as the terms in the old ones could then form the benchmarks for future negotiations. Still arguing her case as to why PSAs should not go public, the minister said that since Uganda had invested a lot of resources to develop these documents, it would be inappropriate to put such documents in the public domain for other countries to access such information without any restrictions. On the issue of taxation, which opened a can of worms when government asked parliament to pass a Shs 11 billion bill for the arbitration process of a tax dispute between Uganda and Heritage Oil in London, Muloni told the NRM parliamentarians that the PSAs provide that all taxes shall be paid in accordance with the laws of Uganda, therefore tax disputes are supposed to be resolved in accordance with the dispute resolution mechanisms established under the Ugandan laws, and that this position was confirmed by the High Court in Civil Appeal No. 14 of 2011 between Heritage Oil and Gas Limited vs. Uganda Revenue Authority (URA), which ruled that that dispute should be resolved within the Ugandan objection and appeals process. However, she added, Heritage used the general arbitration clause in the PSA to institute legal proceedings against the Ugandan government on matters pertaining to the capital gains’ tax in London. “Although Uganda still argues that this is not a matter for arbitration, it still has to defend itself in London, otherwise the matter will be decided ex-parte to the detriment of government,” she asserted. The minister asked the NRM members not to forget that government is battling two oil-related arbitration cases: one in Kampala in court and another in London. “What is at stake is more than US $900 million. If we win in London, then we shall almost invariably have an upper hand in Kampala. Any action taken could therefore prejudice the on-going Arbitration. This is a very serious matter,” she reiterated. After addressing the NRM caucus, they went in for the plenary session, which began late. After the two-day historical debate where big government officials were squeezed on allegations of corruption in the oil sector, parliament on October 11th came up with a 10-point resolution in respect of regularization of the oil sector. Point 1 of this resolution is putting a moratorium on the executive arm of government on executing oil contracts and related transactions until the necessary laws have been passed by parliament to put into place the Oil and Gas Policy. Among other resolutions, government was given 30 days to come up with the necessary laws and table them in parliament for discussion. Government was also asked to produce all agreements it has executed with all companies in the oil sector including the Memorandum of Understanding executed with Uganda Revenue Authority and Tullow Uganda Limited in March this year. Parliament agreed that there shall be no arbitration on any tax dispute outside Uganda, all positions that Muloni wanted her colleagues to push against. MP’s also resolved that government desist from executing any contract in the oil industry with a provision or clause for confidentiality. 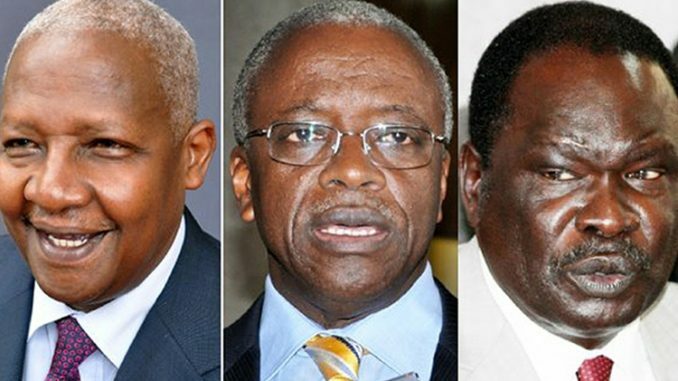 The resolution also demanded that the three implicated ministers Amama Mbabazi, Sam Kuteesa and Hilary Onek step aside from their offices immediately pending investigations by the established ad-hoc committee. Government was also asked to withhold its consent to the farm-down transactions between Tullow Uganda Limited and Total and the Chinese National Offshore Oil Company (CNOOC) until the necessary laws are put in place. When given an opportunity to defend himself against the corruption accusations tabled by MP Gerald Karuhanga, Sam Kuteesa said that the documents indicating that he had received over 17 million Euros in bribes from Tullow Oil were forgeries which he had seen a year ago from a journalist. 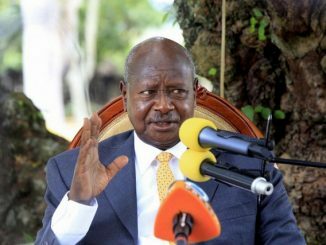 Indeed in a press conference at State House Nakasero, President Museveni added his voice to Kuteesa’s saying that he too had ordered an investigation into these corruption allegations and found out that the documents from the Maltese Bank of Valetta were fake. Hillary Onek said that he supported the idea of investigating the allegations that he also received 5.6 million Euros from the same oil company when he was still a minister in charge of the oil docket. He denied ever receiving the bribes. Onek was brutally castigated by Hon. Kassiano Wadri. “We Northerners are known for being fighters and not for being thieves, that is why I am very cross with one of our own being mentioned in this scam. If it is true he took that money, he is a disgrace to us and I will discipline him,” Wadri said to wild cheers from the house. MP after MP threw barbs at the “oil trio,” with MP Stephen Birahwa Mukitale saying that what is happening in Uganda’s oil industry is ugly. 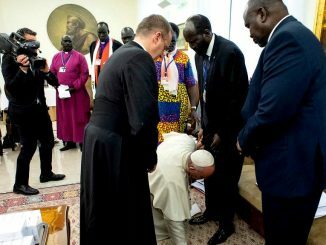 He cited an example of one officer of the army who bought five kilometers of land in the Bunyoro area where the oil is found and displaced thousands of families because he is scheming for oil business. In the Kampala Dispatch of April 2010, we reported that the same oil companies were not working according to the signed agreements with government, and that there were glaring inconsistencies in the oil sector. This was from a leaked audit report that was compiled by Ernst & Young on behalf of the Office of the Auditor General to review the operations of Hardman Petroleum Resources Limited whose interests in Uganda were later bought by Tullow Oil. In that report, it was found that the company did not pay VAT to a tune of Shs 300 million for items they imported into the country which were non-oil related. The auditors then found that the company imported golf equipment, tennis balls and more for which VAT was never paid. According to the agreement, the oil company was only allowed to waive VAT on all imports of equipment needed for their petroleum operations and not for their leisure activities. Other reports have since also leaked indicating that the agreements signed between the government of Uganda and oil companies favored the companies, thus the companies were bound to benefit more from the resource than the country. The report titled “Contracts’ curse: Uganda’s oil agreements place profit before people” released in February 2010 reported that the Ugandan government was attracted by the signature bonuses which represent hard cash upfront and signed agreements with the oil companies which means that the government of Uganda has taken contractual liability as a direct party to the agreement. In that report, it is advised that government avoids direct responsibility and unlimited liability by engaging a state owned enterprise, in this case the national oil company, as the contractual partner instead. This, the researchers noted, would limit the liability of Uganda as a country, and it would only be the assets of the company that could be seized in case it comes to that. But in this case, it is the assets of Uganda as a nation that are on the line. In the same report, it was noted that Uganda received a signature bonus of only US $300,000 for Block 3A, compared to a US $3.5 million which was paid to the government of Congo for Block 1. “In this context, US $300,000 is a surprisingly small bonus knowing that oil contracts such as these determine revenue flows in billions of dollars,” the report noted. Even then, it was noted in that report that there was no accountability to the bonus monies that had already been paid to government, and in which revenue stream they had been channeled. “That income has not appeared in any published budget and experts within the ministry of finance deny any knowledge of the money’s location and or use,” it is stated in the report. It adds that if government has failed to track and account for the destination of these relatively small bonus payments, it raises questions over its intention and ability to manage the larger oil revenues to come. 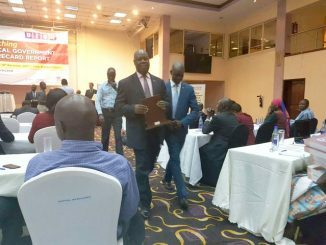 Uganda to join the Extractive Industries Transparency Initiative (EITI). While addressing the NRM caucus on October 10th, Minister Irene Muloni told them that under the National Oil and Gas Policy of 2008, Uganda would participate in the processes of the EITI in order to ensure collection of the right revenue and use them to create lasting value for the entire nation. At the moment, she said that government is still putting in place the necessary institutions and legal framework required for the gas and oil sector, and at an appropriate time, it will join the international outfit. EITI provides for countries to publish monies they receive from such activities like petroleum production and how such monies are allocated. She pointed out that besides the fact that government accounts to parliament and therefore parliament has an oversight role, the legal and regulatory framework for the oil sector will provide for government to publish the earnings that accrue from the oil activities. A seven member parliamentary adhoc committee has since been established to investigate the accusations leveled against the ministers. Headed by Werikhe Kafabusa, the committee will investigate among others the procurement process that was followed in identifying the companies involved in the oil sector and critically examine the agreements signed, including the Memorandum of Understanding executed between Tullow oil and the Uganda Revenue Authority.